Debora Flores-Narvaez.Las Vegas Metro Police Dept. A Nevada jury spent Wednesday weighing the fate of a Cirque Du Soleil performer accused of brutally murdering his burlesque dancer girlfriend three years ago. Prosecutors say Jason "Blu" Griffith, 35, choked Deborah Flores Narvaez to death on December, 12, 2010 — then dismembered her body and stashed the corpse in concrete-filled plastic tubs in an empty home. Griffith's lawyers counter that he was merely defending himself from a violent and volatile woman at the time. Narvaez was in the risqué "Fantasy" revue at the Luxor, and Griffith was in the Cirque du Soleil show "Love" at The Mirage. In closing arguments on Tuesday, prosecutors reiterated that they believe Flores was killed because of Griffith's desire to be with another woman — Anges Roux, another Cirque Du Soleil performer. Roux had earlier testified in the nine-day trial that she broke up with the accused months before the killing — after finding out that he was cheating on her with other women — but then told him in early December of 2010 that they could give love another shot if Griffith broke up with Narvaez. Prosecutor Marc DiGiacomo also implored jurors to remember the testimony of a medical expert who noted that might have taken only several seconds for the 31-year-old Flores to become unconscious — but death would have taken much, much longer. "You're not allowed to hold onto a woman's neck for 10 minutes and not have it be first-degree murder," DiGiacomo said on Tuesday. "Did Jason reasonably fear that he was going to either be killed or receive serious bodily injury? And, finally, why Jason didn't call the police if he was defending himself." DiGiacomo said. In his closing, Defense attorney Abel Yanez asked jurors to consider the lesser charge of voluntary manslaughter, which indicates an act done in a moment of passion that wasn't intentional or malicious. "This case is about who was the likely aggressor on Dec. 12, 2010," Yanez said. But prosecutors earlier called a witness who testified that Griffith casually told her that Flores' remains were in a blue plastic tub that he wanted to store at her house. "He just said, 'It's Debbie,'" Kalae Casorso told jurors, according to The Associated Press. "I was shocked. Kind of, my head started to spin. I couldn't comprehend it. I think he said something to the effect of, 'It's not what you think.'" A month after the killing, Flores' body was found and Griffith was arrested after his roommate, Louis Colombo, began cooperating with police in exchange for immunity. Colombo told investigators that he watched Griffith wrap his hands around Flores' neck during an argument, authorities say. He claims he left and returned to find the woman dead. The two men allegedly took a 700-pound tub containing fresh concrete and the body to the vacant house, but the tub started leaking. Griffith then broke the body out of the cement block, cut the body in half and distributed the remains in two smaller tubs, authorities said. Testifying in his own defense, Griffith characterized Flores as clingy and possessive. She claimed in the weeks before she died that she was pregnant for the second time in about six months, he said, and was going to have another abortion. Griffith testified he accompanied Flores to a clinic for a similar procedure in May 2010. 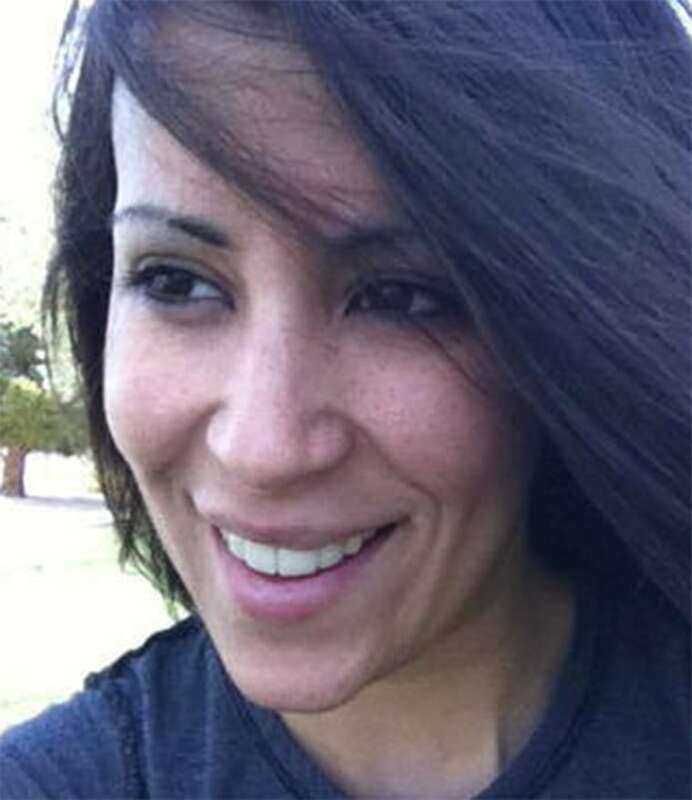 Medical examiners found no evidence during Flores' autopsy that she was pregnant in December. Griffith does not face the death penalty. Deliberations are expected to continue on Thursday.